Experience level. Good Snorkel ability. This reef is best done by snorkeling. 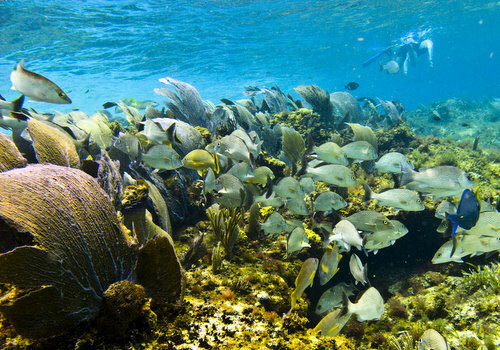 You need to go to the Cozumel Snorkeling beach just past the Punta Celerain Lighthouse. It is about 400 meters from the beach to the reef. If you are not a strong swimmer, you can hire a guide who will take you out on a kayak, and stay close by. Cozumel Punta Celerain reef is not usually visited by Scuba Cozumel divers. However, it is a beautiful shallow reef. The nice part of it is about 100 meters long and runs parallel to the beach. 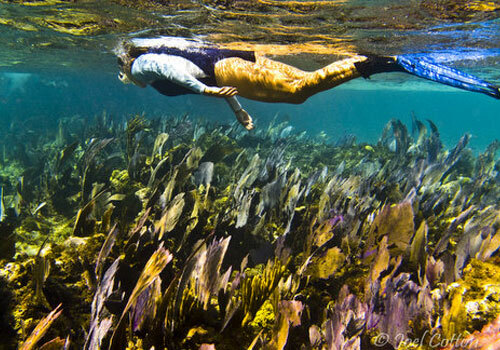 However, the healthy sea fans, schools of Grunts and Snappers, turtles, and others, make this a memorable place. This is our favorite Cozumel Snorkeling place in Cozumel. It is far and takes a day to do it right. To get there, take the highway south of town. It is about 20 km to the Punta Celerain Park from San Miguel. The entry fee is about $18 US pp. From the entry station it is about 5km to the lighthouse. You will pass the crocodile observation tower. Be sure to save some time to visit the giant saltwater crocodile, and his harem of smaller females. Once reaching the lighthouse, you will ask to go to the snorkel beach. It is another 5km or so to the beach. Go slow due to traffic and sharp turns. You will pass Colombia lagoon. You can get dressed in a decent bathroom. You can leave your stuff on the beach, because there is a guy there who will watch it. He will brief you on the snorkel. Cozumel Punta Celerain reef is a drift snorkel, and you will exit the water about 1km down the beach, and then walk back to the beach chairs. They sell beer, snacks and food there. This is a good snorkel to visit during a "Norte" when the wind is coming from the north. It is then that the south end of the island will be calm. 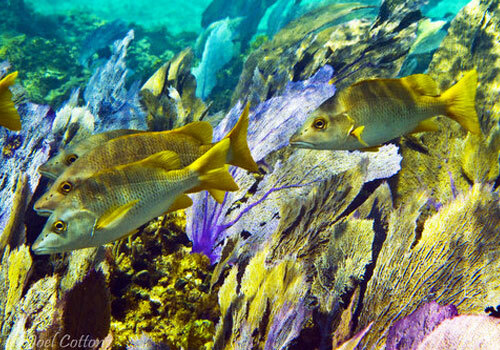 You'll also see some parrotfish, wrasse, a few damsel fish, and some snappers. It is a good place to see juvenile fish. 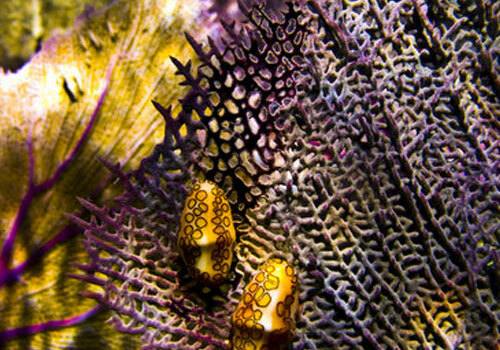 To know more about Cozumel Diving, buy Cozumel Reef Guide.